Olsbergs OSE Team Crew Chief, Andreas Eriksson gingerly hands over the key of the 2011 BestBuy Ford Fiesta to Nascar driver AJ Allmendinger for a few hot laps around Irwindale Speedway. Although Almendinger was not allow to take the jump in the car, he very quickly adapted to the angry little Fiesta and put in a few very respectable laps. 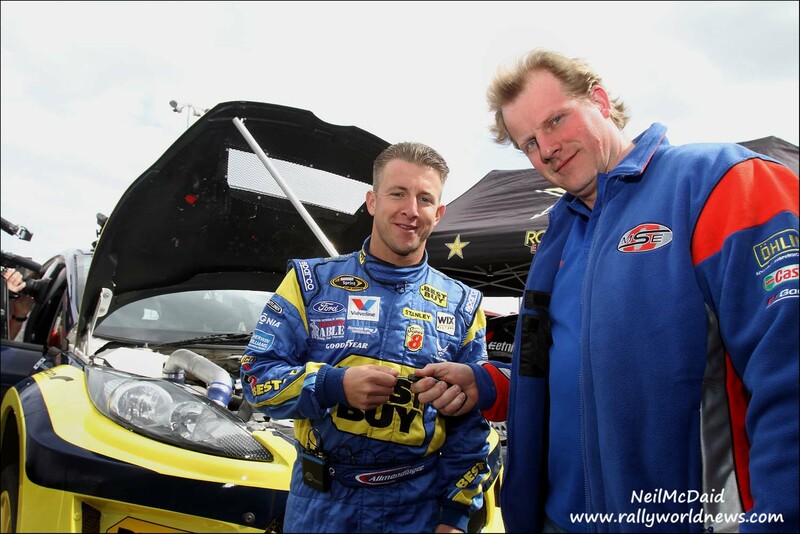 Photo Neil McDaid /RallyWorldNews.com . 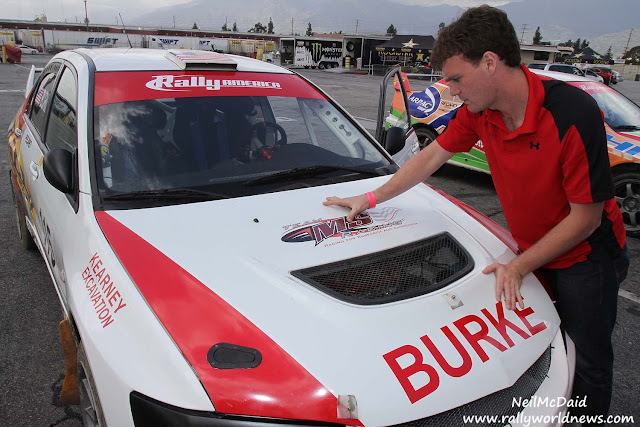 March 25, 2011, Irwindale, CA. 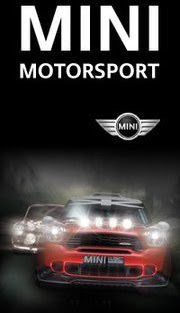 Drivers and their crews started to arrive Thursday for round one of the 2011 Global RallyCross Championship. NASCAR’s AJ Allmendinger from the Best Buy /Ford racing team also stopped by to check out and drive one of Ford’s 2011 RallyCross Fiesta’s. Competition will get underway today Friday, with some rain forecasted in the area, we expect it will make for some very interesting action. The rain over this past week has also made things very challenging for the course construction, the build team worked late into the night Thursday adding the final touches to the course layout. The course itself is rather tight in places, comprised of 60% Tar and 40%dirt the layout should keep cars fairly tight together and maybe to close in places.